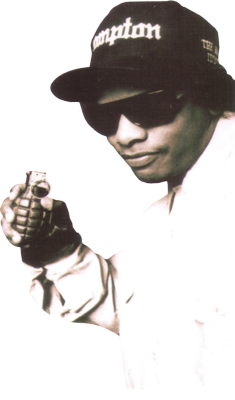 Lets make a official topic for your Eazy-E NWA related cuts. Save as, PNG, Transparent background. First save the file on your pc then insert it to photoshop otherwise u have a black background and its not free to move! I see there is no automatic resize when u post a picture so I will only post the url for the bigger files! I will start of with a couple hope more will follow. Last edited by ApproachToDanger; 12-16-2011 at 03:24 PM. It need to be cut outs png's no background. So u can drop it in CS and edit it lil bit and your done. so using png is easier. Last edited by ApproachToDanger; 12-16-2011 at 06:56 PM.